UVM Extension has published the newest 2016 VT Maple Benchmark report. 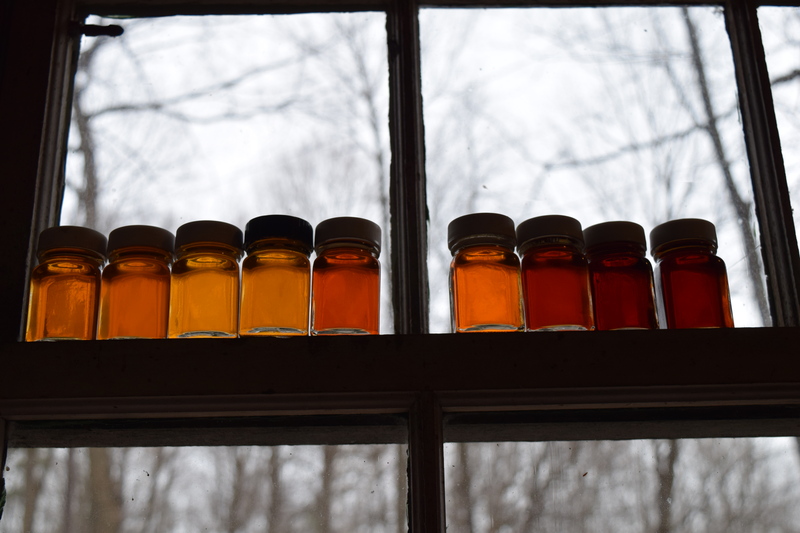 This report shows financial analysis and profitability for a group of syrup businesses that range from 2,500 to 20,000 taps. Download a copy of the 2016 report now. In 2016 maple market prices had dropped significantly but very high production yields for many participants resulted in stronger profitability for 2016 compared to 2015. Bulk maple producers showed a wide range of cost of production from $1.62 per pound to $2.52 per pound with an average cost of $2.00 per pound. Overall costs on a per pound basis declined in 2016 due to high production yields. Several historically high performing businesses, however, will be challenged to stay profitable as market prices drop below $2.25 per pound and/or they experience only “good-to-average” yields. This is a growing concern for maple sugar makers from 8,000-15,000 taps that rely on maple income for household income. Many maple businesses have already or plan to diversify market channels. There is no guarantee that higher wholesale or direct market prices can compensate for the costs and time associated with serving those new customers. The reality, however, is that bulk maple businesses that drop below financial break-even levels will seek to find alternative ways to market syrup in order to stay in business. Several participating businesses in this project have demonstrated that a mixed marketing plan that includes bulk sales and some direct sales can preserve profitability and reduce the risk of uncontrollable bulk market prices. The VT Maple Benchmark project will continue in 2018! Starting in May our business educators will begin completing 2017 financial analysis with maple sugar makers and sap only enterprises. Contact Mark Cannella for more information (Mark.Cannella@uvm.edu) . This year the project specifically needs more producers from 15,000 taps – 50,000 taps to register. This entry was posted in Business Planning, Farm Finances, Feasibility Planning, Maple, Risk Management by Mark Cannella. Bookmark the permalink.